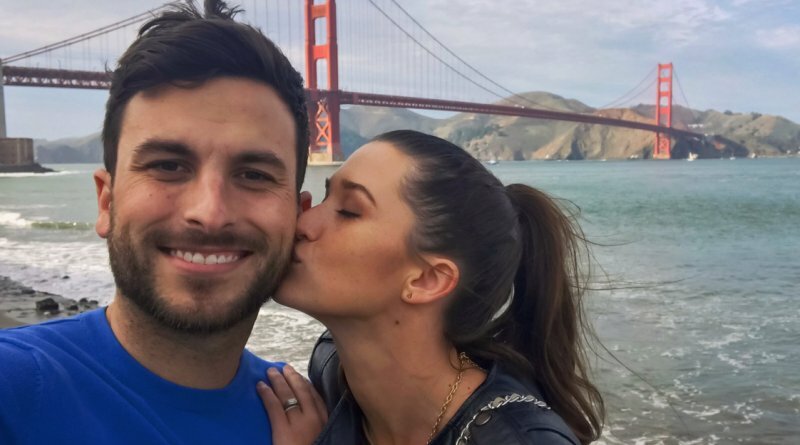 Bachelor in Paradise couple Jade Roper and Tanner Tolbert are pregnant and expecting their second baby! The two announced their new little bundle of joy today via social media while holding a baby ultrasound photo. The pair already have a one year old baby girl. Tanner Tolbert appeared on the 11th season of The Bachelorette. However, he didn’t find love there. So, he ventured off to the second season of Bachelor in Paradise (BIP) in 2015. Fortunately, he met former The Bachelor contestant Jade Roper during filming. The pair were inseparable during the show. They declared their love for each other rather quickly and married less than a year later. The Bachelor franchise couple married in January 2016. The event was televised on Valentine’s Day as part of ABC’s special honoring 20 years of The Bachelor. The wedding took place at the St. Regis Monarch Beach in California. Jade Roper wore an elegant custom Galia Lahav gown. In addition, the Bachelor in Paradise duo exchanged platinum Neil Lane wedding bands. Neil Lane is the official ring provider for the entire Bachelor series franchise. Jade and Tanner Tolbert have set the standard for Bachelor in Paradise couples. Every season, current BIP contestants refer to the duo as an inspiration. They all hope to one day have a successful union as well. However, of course, it’s never easy finding the right person on an exotic beach full of beautiful people. In March of 2017, The Bachelor and The Bachelorette alum announced they were expecting their first child. Emerson Avery Tolbert was born on August 17, 2017. Amazingly, only eights months after welcoming their daughter into the world, they announced they were trying again. While it didn’t happen as fast as they desired, the Bachelor in Paradise pair finally became pregnant once more. On January 28, 2019 both alums announced on their Instagram account they’re expecting! Coincidentally, the baby is due in August 2019, the same birth month as their daughter. The married couple would prefer to have at least one boy. Tanner jokes around stating he’ll keep trying until Jade has one. However, their ideal child maximum is four. Even so, Tanner states he isn’t opposed to having more then four kids. It just isn’t a preference. Looks like they’ll be more tiny Tolberts in the future! Come back to Soap Dirt for all the latest news and updates for Bachelor in Paradise!